Location We are located in the Santa Eulalia Harbour. Our center is located only 12m far from the boat, with lockers, showers, equipment depot, 1 compressors and a place to rinse the equipment. We are close to bars and restaurants where you can enjoy yourself after diving with us. Ibiza is bathed by the Mediterranean Sea, it gives transparent waters with thousand blue and green tones of, his waters full of life, with its fields of posidonia (thermometer of the little contamination...Continue reading of its waters), his oases of life, small barren islands. The lack of rivers and contamination makes the visibility of this waters gets 40, never lowering from 20m. All it without strong currents and with a temperature in the water that never lowers of 22º in summer. Ibiza… Island where everything is possible, where the extravagance is normal, where in winter is spring and in summer the breeze causes that the heat is not exhausting. It is communicated by sea through the port of Ibiza and San Antonio, the ferries of Transmediterranea and Balearía connect with the peninsula (Denia, Valencia and Barcelona) and Majorca in few hours. The International airport has connections with the main cities of Europe. the world to relaxing sunsets, idyllic beaches, clean and transparent waters ideals for the diving practice, a typical architecture inside the island and a rich and varied gastronomy. Instructors & Dive masters We have two full time Instructors and a series if freelance instructors and Divemaster. 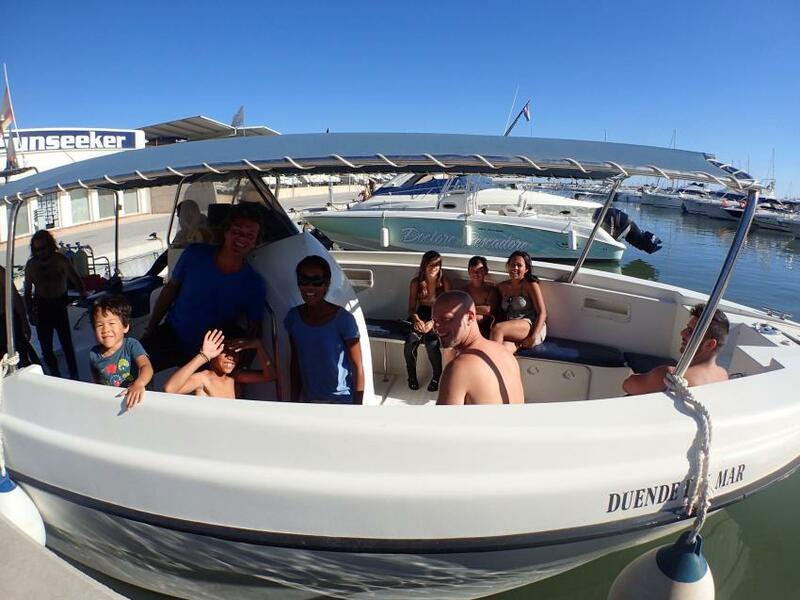 Our boat “El Duende del Mar”, is a 10m length and 3,5m.breath made by and for divers. The boat’s has a comfortable deck to relax while we travel to the diving site, a special place for tank and, of course, oxygen equipment and all the elements that will make you trip not only enjoyable but 100% secure.